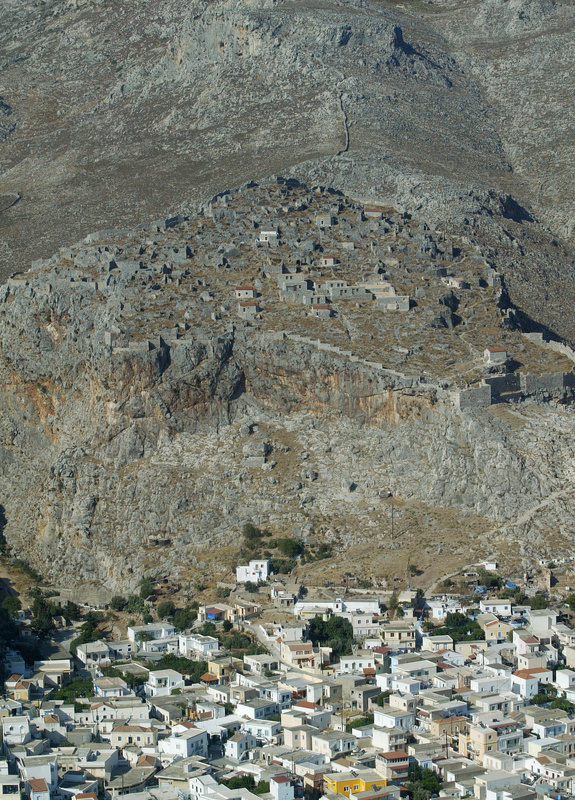 The Castle of Chora, also known as the Big Castle of Kalymnos Island, was the shelter for residents during pirate raids. When the raids stopped, people started building Chora village and slowly moved there, abandoning the Castle. 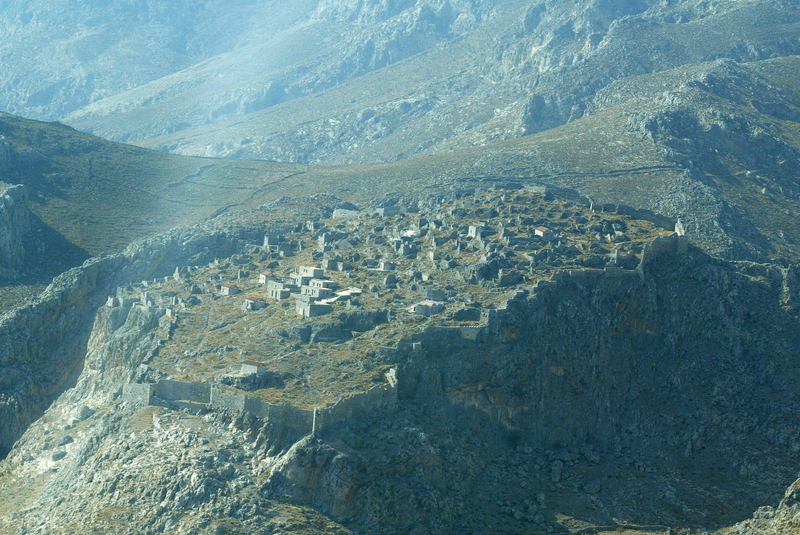 Chora village was the capital of Kalymnos Island for many years. Later on people started moving close to the sea and created Pothia town (known as Kalymnos town). Only 9 small churches were preserved until recently that the castle was renovated. Bigger resolution photos available for downloading at the end of the page. Air photo showing part of Chora village, the Castle of Chora and the path (staircase) to access it. Air photo showing the Castle of Chora, it's entrance and the path (staircase) to access it.